The Sea Ranger folding Greenland kayak is a larger displacement version of the Sea Rover. It’s designed to be an all around performer like the Sea Rider. The low aft deck 6in ( 15.2cm) provides 2.2in (5.5cm) of freeboard at the designed displacement. Maximum paddler weight is 200lbs (91 kilos). Coaming size is 22″ X 16″ (56 X 40.5cm). 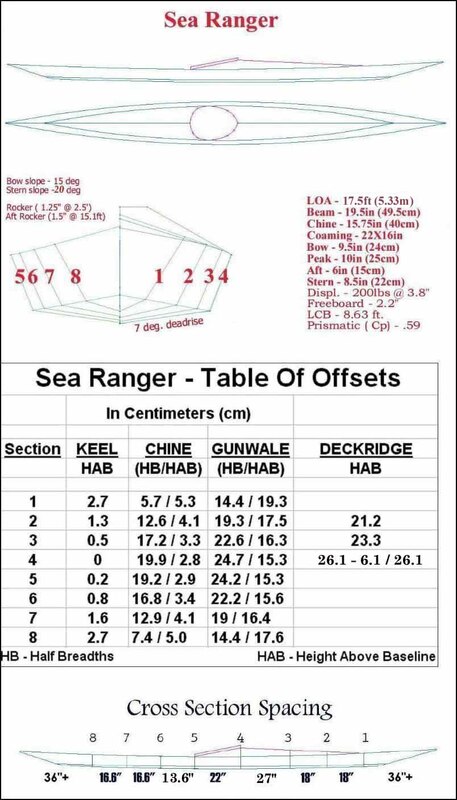 The Sea Ranger is featured in the frame construction section of this manual. 6063-T832 aluminum tubing replaces 6061-T6 on this kayak. 6063 is higher in corrosion resistance and has a polished look.